I received these books from Amazon this morning. I saw a recommendation on Nicole Caulfield’s blog and since I'm pretty interested in how other artists can create detailed and realistic portraits of fantastic subjects, I ordered it right away. 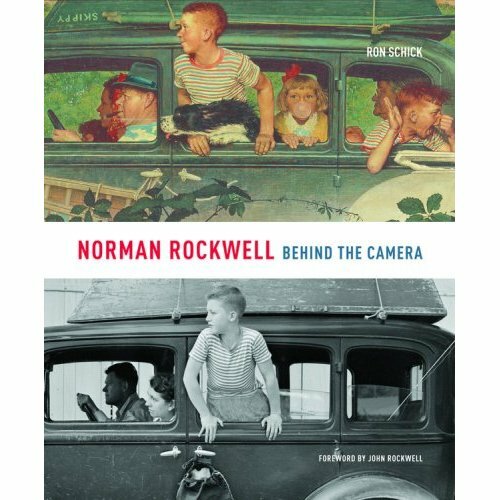 This book captured my attention immediately because I am such a fan of Norman Rockwell, but even more so because it documents his use of photographs to capture the exact poses and content he wanted in his paintings. 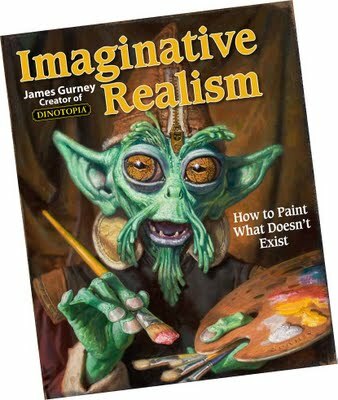 It’s another look at the behind the scenes procedures that help an artist create his masterpieces, very informative for a would-be realistic artist. I decided that today I would concentrate on my artwork instead of trying to multi-task and do other stuff around the house. I spent about 5 hours on the Circle piece. I’m pretty happy with my progress. Looking at it you wouldn’t think that much has changed. Mostly because I spent about half the time removing strokes of white color that I thoughtlessly laid down early in the process. I had originally wanted to depict rays of sun streaming down from the heavens on the right side of the portrait. This is all good and well, except that I went about it the wrong way, laying down lines heavily with a white pencil to indicate the rays. I’ve come to realized that laying down any strokes heavily is not a good idea in preliminary layers. I think the idea is to build up colors with successive light layers and then if need be finish off by applying the last layers with the heaviest pressure. Of course as soon as I decided that I didn’t like the rays, I then discovered I couldn’t cover them up. They showed up right through other layers of color. This morning was spent removing as much as I could of the ground-in color with a sticky eraser. Originally I tried removing the color with a stiff brush and with a very fine needle, which did work somewhat, but would have taken a long, long time. Fortunately I realized that using an extra sticky kneaded type eraser I was able to lift most of the color out of the paper. Hallelujah! Here you can see a before and after removing the rays comparison, plus the cloud work I’ve done since the last progress shot. The colors are over saturated and they don't match from photo to photo, but it gives an idea of the difference. I then spent some time carefully evening out the color again in the sky. It still needs a lot of work but it looks much better now and I feel like the roadblock has been removed. I’ll continue to work on the background now hopefully moving more quickly so I can start working on the figures again soon too. I’m learning a lot working on this piece which was the intention. I wanted to gain some experience working on a sanded surface. But now I need to move ahead to my next planned piece which is an even larger size sheet of uart 800, 24 x 36 inches. I have plans to enter this one in next year’s CPSA main competition. The deadline for entries is in February so if I hope to make it I better make a start soon. 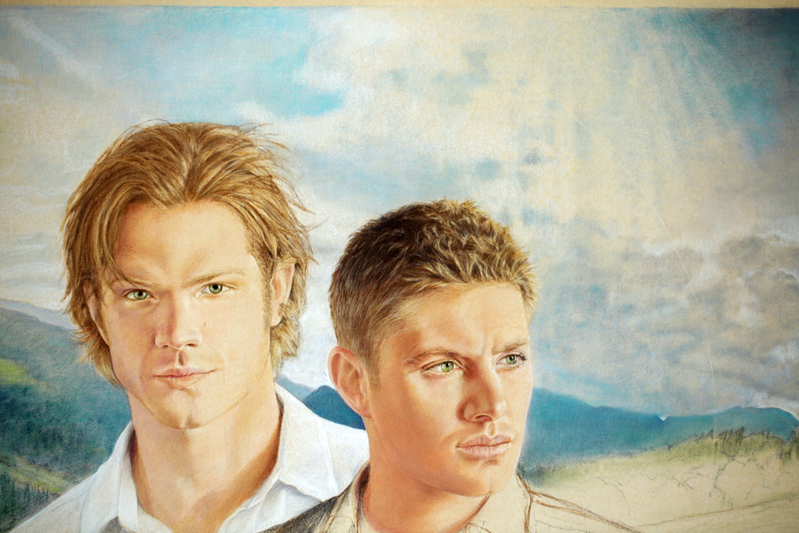 I’m not sure at all how long a piece this large will take me to complete.